Moving into Q2, April had a lot more buzz about the processor market. Intel kicked things off by expanding its 8th Generation Core processor family. Aside from an update of vPro parts, as well as Iris Plus graphics models, we also saw the launch of Core i9 on the mobile side. Intel is putting a lot of effort into the Core i9 branding as of late, and now it stretched from mobile to desktop. On the desktop, Intel filled out the Coffee Lake family with 65W and 35W parts more applicable to the mass market. Intel also made further statements on its efforts for firmware and software patches for Spectre and Meltdown. In April the company published an update confirming that Spectre microcode had been patched as far back as Sandy Bridge, and it was up to the motherboard partners and OEMs to implement the changes in their variants. The company also stated that it would not be patching all of the 1st Gen Core/Core 2 systems older than this, as it had originally stated back in January, due to ‘limited ecosystem support and customer feedback’. Around this time we published our interview with Intel’s new Chief Strategy Officer, Aicha Evans. Aicha formerly headed up Intel’s wireless efforts, but now she is in a less public role, focusing Intel’s messaging on a larger scale, such as the move from a PC-centric company to a data-centric company. This includes mergers, acquisitions, and also working with the latest hires to determine where Intel needs to go and what messages need to be in place to be successful. At the end of the month, Intel announced that its 10nm process would move mass production from 2018 to 2019 due to yield issues, despite already shipping some products in small volumes. The quote at the time stated that ‘the rate of improvement [of yield] is slower than we anticipated’. At around the same time, Intel released references to Tremont in its architecture documents, making it the next generation Atom core after Goldmont Plus. If that wasn’t all, Intel officially announced that it had hired Jim Keller to head up the company’s Silicon Engineering Group as SVP. This marked a point in Keller’s history as doing the full rounds of a CPU Grand Tour, having worked with AMD (twice), Apple, and now Intel. We interviewed Jim later in the year to find out what he is up to. On AMD’s front, it wasn’t quiet at all. Our biggest article of the year, by some margin, has been our review of AMD’s 2nd Generation Ryzen processors: the Ryzen 7 2700X, Ryzen 7 2700, the Ryzen 5 2600X, and the Ryzen 5 2600. Built on an improved 12nm process at GlobalFoundries, these parts were using the ‘Zen+’ microarchitecture, which afforded a 3% raw IPC gain but when bundled with the frequency/voltage uplifts, actually gave a 10% generational increase in performance. The prices of these parts were extremely competitive, coming in under the highs from the first generation of products. The processors also used Precision Boost 2 and Extreme Frequency Range 2 (XFR2) such that the CPU was not bound by how many threads were active to what turbo was needed – the system would automatically adjust to compensate for power, giving a large operational boost in variable threaded workloads. 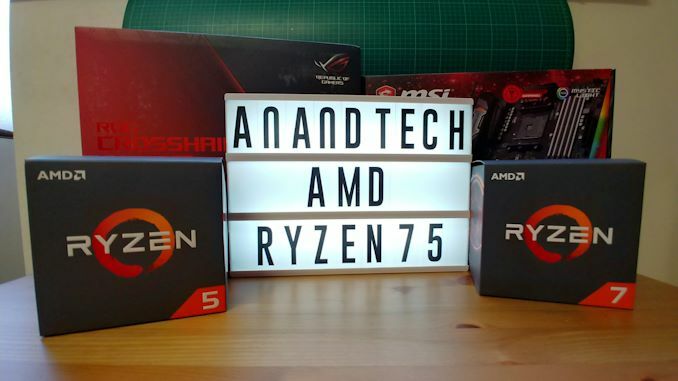 If that wasn’t all, AMD also formally launched 35W APUs: the Ryzen 5 2400GE and the Ryzen 3 2200GE. Unfortunately these seem to be OEM only. One of Intel’s most useless products in recent memory, Kaby Lake-X, got the axe in early May. The two processors launched offered higher frequencies than the mainstream parts, but were on a more expensive platform that gave features that Kaby-X users couldn’t use, as well as making those motherboards about 18x (roughly) more complex than they needed to be. Needless to say, the Kaby-X parts didn’t sell well at all, and so Intel issued an EOL statement for them with final order dates for November. No-one shed a tear for these parts. We’ve got them tested in our database on our latest benchmark suite though, just in case. From no-where to vaporware, in May we finally saw the first glimpse of those 10nm products that Intel promised had been shipping for revenue since December 2017. 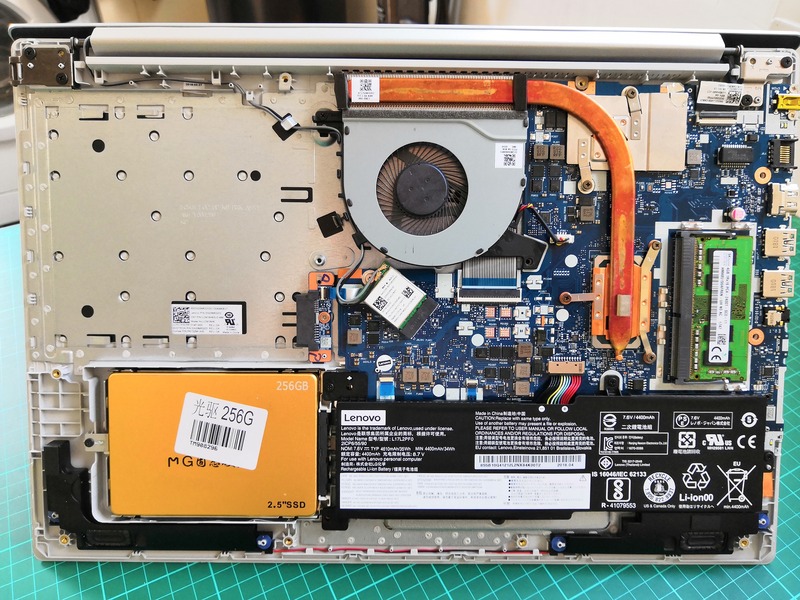 A single model, the Lenovo Ideapad 330, was seen on a Lenovo Reseller in China, for what should have been an educational laptop. It took a couple of months but we purchased one, which I’m still planning to review. Priced appropriately, the device is a large 15-inch heavy unit with a tiny battery and a low resolution TN display. Because the processor doesn’t have integrated graphics, it also comes with a Radeon RX540 graphics card inside. On the plus side, Intel had a couple of interesting cards up its sleeve. During an announcement, Intel confirmed that it was expanding its assembly and testing facilities to increase supply of Coffee Lake processors. This was the start of a long year-long story about Intel’s production volumes being outmatched by demand for the latest and safest Xeon processors, which we’ll get onto in a bit. However alongside this packaging announcement, the company also announced that it would be shipping specialised Xeon Scalable processors with integrated FPGAs to select customers, to help accelerate specific workloads. Speaking of servers, a couple of stories worth mentioning happened in May: Qualcomm’s Server Lead, Anand Chandrasehker, left the company. Anand was the driving force behind the Centriq platform with which Qualcomm was hoping to enter the server market. Over the course of the year, other senior technical people left the company, as well as Qualcomm announcing downsizing, leaving the project all but dead except for a joint venture with a Chinese chip developer. We saw a system at Supercomputing in November, for what it’s worth, and were told that we could review it sometime in 2019, two years after it was announced. We also published our Cavium ThunderX2 review in May – an actual serious attempt to bring Arm cores into the server and HPC space. AMD was more-or-less quiet from a CPU perspective in May. We saw the launch of Ryzen Pro with Vega, which is essentially the desktop and mobile APUs focused for the commercial markets with support for things like Dash, going up against the vPro market. 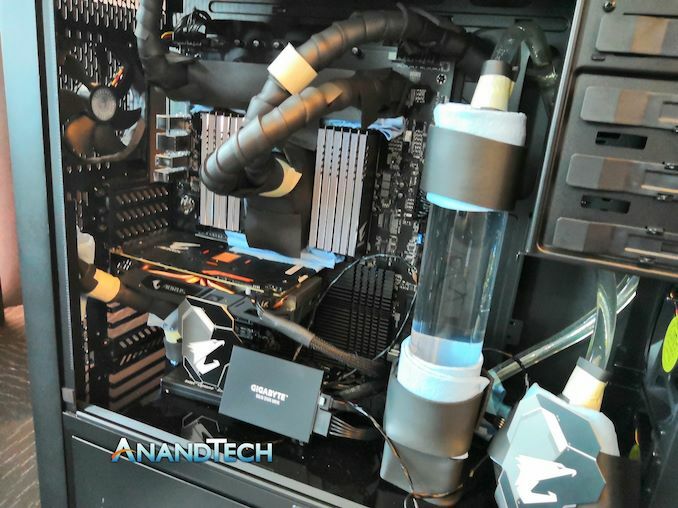 Gavin also published the next in a series of articles on the desktop APUs, with this month going into how to remove the integrated heatspreader on a Ryzen 5 2500G APU to get better temperatures and overclocking. Wrapping up the month, I was in the Bay Area for a time and was able to get a look at Intel co-founder Gordon Moore’s official desk at Intel HQ. Despite being retired, the creator of ‘Moore’s Law’ still uses his desk, and it has a lot of the awards that he personally (and the company) have won over the years, as well as celebratory milestones. Our annual pilgrimage to Taipei occurs in the first week of June, and we hit the ground running with announcements from both Intel and AMD. At the company’s keynote, AMD formally gave some specifications for its upcoming high-end desktop product: Threadripper 2. TR2 was on the roadmaps at the beginning of the year, so this wasn’t completely unexpected, however there were plenty of numbers to get the juices flowing. Alongside using the 12nm process and Zen+ microarchitecture, TR2 would support up to 32 cores at the high-end, similar to the most expensive EPYC CPUs. We also saw a couple of the new X399 motherboards that would be hitting the market to power these 250W parts, so it was all a case of waiting for the release (which was to be in August). AMD also gave its first public demo of its Vega GPU built on 7nm, set to ship at the end of 2018, as well as announcing that next generation EPYC processors based on Zen 2 and 7nm were in the labs for testing and would be launched in 2019. Not to be outdone, Intel had some announcements of its own at Computex. At the keynote, Intel officially launched the Core i7-8086K, its first consumer desktop processor with a peak turbo frequency of 5.0 GHz. 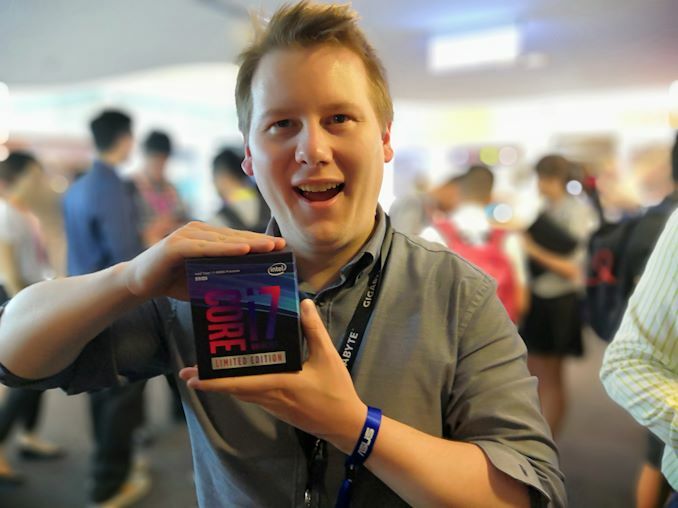 The processor was announced on Tuesday to be on sale on the Friday – there was no sampling program, so we bought the processor while in Taipei and borrowed a system to benchmark it, having the first global review out on the Monday morning. Intel also discussed a new generation of mobile processors, albeit very briefly. Whiskey Lake-U and Amber Lake-Y were set to fit into the company’s 8th Generation Core family of 15W mobile processors. Although we didn’t know it at the time, the Whiskey Lake-U parts would be Intel’s first processors with in-hardware fixes for a couple of the Spectre/Meltdown variants. At this point of the year though, Intel was quiet about the whole thing, except that a new family of 8th gen parts would be coming. It confused us for sure. However the big controversy at Computex came from Intel’s demo of a 28-core desktop ‘consumer’ processor. Despite Intel’s highest core-count part in the previous generation being only 10 cores, a lot of question marks were around how Intel would bring a 28-core processor to market. If that wasn’t enough, Intel stated that they were running the 28-core processor with all cores at 5.0 GHz, and that this processor would be unlocked for overclocking. The controversy came that Intel didn’t clarify that the processor was already overclocked, and that it wasn’t going to be shipping at 5.0 GHz – also that the cooling being used (a water chiller, rather than sub-zero as some websites erroneously claimed at the time) was relatively hidden from view. Luckily the next morning we were able to see the system used on stage in the flesh. It turns out that both ASUS and GIGABYTE were partners on the project, and both had development boards ready for the demonstration. We saw a collosal 32-phase LGA3647 motherboard from GIGABYTE with the 1700W water chiller in play. We subsequently spoke with Intel later that day, and a representative confirmed that not mentioning it was already overclocked was a mistake (although some users disagree with that statement). Intel lifted the lid on this part, called the W-3175X, later in the year, but we’re still waiting for an official launch, despite being promised it will be out in 2018. Back to AMD, we also reported that based on conversations at Computex, we learned that some AM4 motherboards would be dropping support for the A-Series APUs, codenamed Bristol Ridge, due to space constraints in firmware. This would be limited primarily to low-cost products already in the market, however we did note it could cause confusion. Also on AMD, Gavin published a memory scaling article for AMD’s desktop APUs. To round off the month, Intel’s CEO Brian Krzanich resigned, which the company stated was due to a violation of the company’s non-fraternization policy. The company stated that they would start the search for a new CEO, and place CFO Robert Swann as interim CEO until the position was filled. It might be worth noting that Krzanich is the only Intel CEO not to appear in the company’s official museum.